You may have a clear vision of the style of home you want. You could even have a name you call it. Walking into a drafting office and telling them you want a new house design and just telling them the name of the style could be a bit dangerous. Think about this. If you told a drafter your new house planning was for a Colonial style home, which one of the following should he draw? This is just a tiny sampling of the wide variety of home styles you can choose from. If you are like most of us you really do not clearly understand all of these labels, plus all of the cross-over options between styles. The safest way to communicate your vision is through pictures. 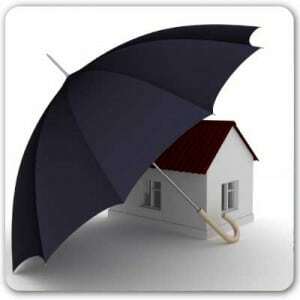 Find pictures online or take your own for clearer communication with the company providing your house design services. Daryl Wood of Drafting Concepts Pty Ltd does not like to rely on verbal descriptions alone when figuring a free house design quote or working on your new house design. He wants to sit down with your and look at examples of what you really want in design features before they start creating your custom plans. Making mistakes at this crucial phase of the design process will haunt you later on. 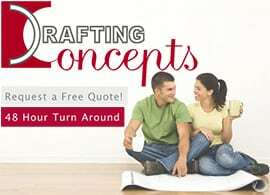 A great idea is to take your ideas, pictures, and thoughts and schedule a free house design quote with Drafting Concepts. Daryl, or his partner Kwang Ja Lim, will sit down with you to figure out the details of what you want. Then you can ask them what style of home it really is. Do not be shocked if they chuckle and tell you it is going to be a Drafting Concepts original design just for you. That would be the closest thing to the truth anyways. All of those labels for new house planning are not the important element. The important thing is to select the features you want in your new home and then allow the design experts to put it together in your own special vision. You should be aware some communities have restrictions on styles of homes. They want a certain level of uniformity in homes. Keep this in mind as you shop for the property you will build your new home on. Look around the area and make sure homes similar in design to your dreams exist in the area. If you are uncertain, you should visit with the person providing your house design services. They should be able to provide you with an idea of what styles of homes are commonly approved for permits in those communities. Professional home design services goes far beyond making the construction drawings. It is an intimate process of helping you take your dreams and putting them into plans which can be built. Do not worry about labels for the types of finishes, construction methods, and your ideas. Just work on helping define your ideas through rough sketches, photographs, or graphics online. Your new house design should reflect your personality and style, not an architectural label which no one will remember anyway.